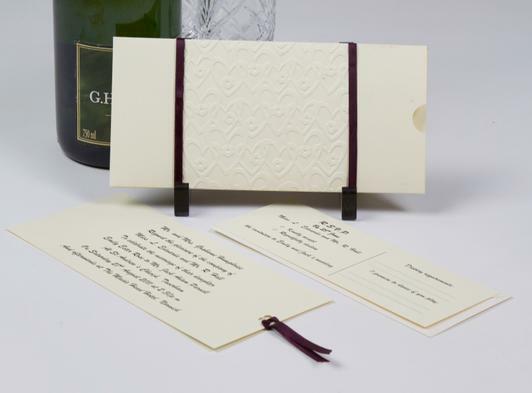 Let Us Invite You can make all your wedding stationery to match your colour scheme and all completely personalised to you. We will even print your guests names to save you having to hand write and all at no extra cost. We have traditional collections to the more modern. Take a look around our website. If you don't find something you like let us know and we can work with you to make your perfect wedding stationery.